You could win all this and more. 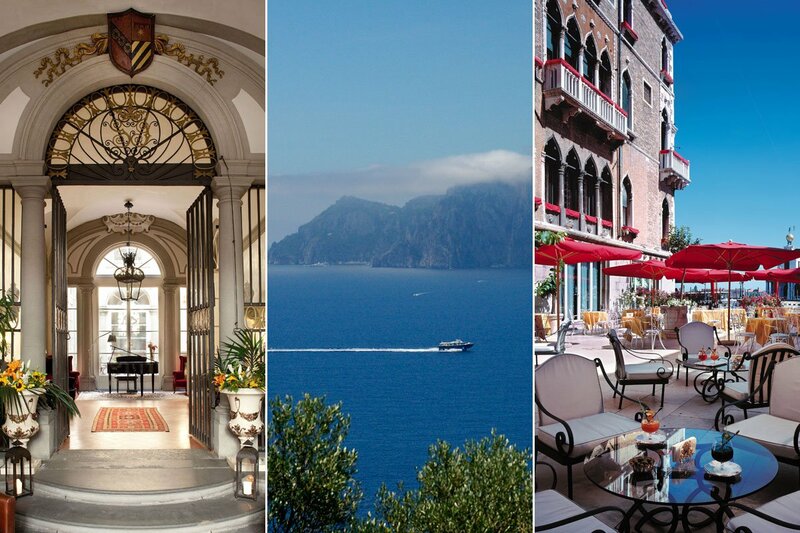 Photos, from left, courtesy of Relais Santa Croce/Baglioni Hotels in Florence, Don Alfonso on the Amalfi Coast, and Bauers Palazzo in Venice. The final trip in our Free Trip Bonanza may be the ultimate one: a perfect week in Italy. To celebrate the launch of our Fathom Honeymoon Guides (coming in June! ), we're sending one lucky winner on a trip to Venice, Florence, Rome, and the Amalfi Coast — the destinations featured in our new guides. You don't need to be planning a honeymoon to enter, of course. The destinations, hotels, and guides are amazing no matter what the occasion. Who wouldn't want to win this? The Hotels: Two nights each at Bauer Palazzo in Venice, G-Rough in Rome, Relais Santa Croce in Florence, and Don Alfonso on the Amalfi Coast — all Fathom Favorites. The Airfare: $1200 airfare credit from Hitlist. The Goods: Italian-inspired picks from the Food52 Shop, to continue the trip after you've come home. The Itinerary: The complete set of Fathom Italian Honeymoon Guides. All it takes is an email address. Contest ends June 12, 2016.